The next instalment in the Call of Duty series will be released in two months, but already now the developers tease us with new Call of Duty: Ghosts trailers. Yesterday Activision showed a new video with exciting battles and special effects. 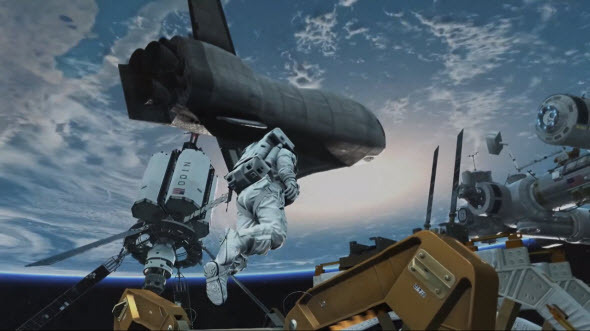 Call of Duty: Ghosts trailer that we want to show you begins in... outer space! The squad of American soldiers shoots someone with an extremely powerful weapon and then starts a desperate battle on the ground. Also faithful assistant of the game's protagonist - a dog - does fantastic things in Call of Duty: Ghosts trailer. Here you can see Riley attacking a helicopter and much more interesting things. But we don't want to let you wait more and are ready to show this beautiful trailer. Call of Duty: Ghosts is scheduled for the 5th of November for Xbox 360, PS3, Wii U and PC. The versions for the next generation of consoles are coming a little bit later, together with the launch of PS4 and Xbox One. And if you haven't pre-ordered the game yet, we would like to remind you about interesting offer, according to which everyone, who will buy Call of Duty: Ghosts, will get a nice discount on new Eminem's album.